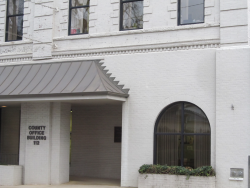 The Finance Department works in conjunction with the Treasurer's Office to ensure the financial integrity of the County's governmental operations. It is responsible for financial compliance and reporting, including coordination of the annual audit for the County. This includes processing payroll, procurement, accounts payable, quarterly financial reports to the Board of Supervisors, grant accounting, and records management. In addition, the Department coordinates the capital improvement planning and annual budget process, monitors on-going activity, and prepares financial forecasts. The Department administers a professional procurement system based on values of quality and integrity, where all persons involved in public purchasing are treated fairly and equitably, and public funds are spent to obtain the best value for the County. How can I obtain a quick overview of the County's revenues, expenses, and financial status? I am interested in the County's Capital Improvements Plan. Where can I find information on the projects? Where can I find information on the County's outstanding debt and annual debt service payments?